Solo acoustic versions of concert favorites "Layla" and "All Of Me" will please long time fans. 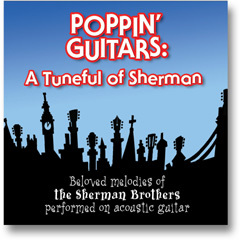 As a bonus...three of the ensemble numbers are presented as Acoustic Guitar Solo bonus tracks for the guitarists in the audience who want their LJ unadulterated. Some albums are planned, lived through for months, labored over..... This wasn't one of those. Others creep up on you, insinuating themselves into the creative work- flow. This wasn't one of those either. a handful of new tunes and a few old chestnuts. Not just any studio but historic Capitol, located at the landmark Hollywood and Vine. Not just any band, but the legendary rhythm section of bassist Lee Sklar, drummer Russ Kunkel with keyboard master Jim Cox. brought a new pallet of sounds to my music, as did Lee's electric bass. As well as my signature Martin OM guitars, I had my electric rig on hand too. It's liberating to have accompaniment, so there was room to improvise some blues. in many of the tunes. being a journey into a different space and style. Travel in time and era: ragtime swing (All Of Me), rock epic (Layla) and soul groove (Let's Stay Together). skillful solo guitarist who released more than a dozen albums. original penning. â€œBlue Guitar Bluesâ€� is a very appealing and moody blues song, on electric guitar, which really grasps one. â€œVery fine arrangements of covers like â€œWayfaring Strangerâ€�, â€œLaylaâ€� and â€œLet's Stay Togetherâ€� have all that passionate feeling, coming straight from the heart. Included are 3 bonus tracks. fan who likes a diverse repertoire. 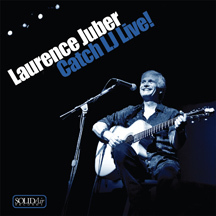 Since his emergence as a solo artist in the 1990s, Laurence Juber has created a body of work that's stylistically varied, technically innovative and consistently listenable. PCH is all of these things, but with a couple of twists that distinguish it from his other recordings. 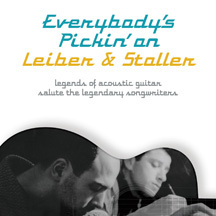 While Juber still features his acoustic playing most prominently, he plays electric guitar in a visceral blues-rock style on several tracks, using either an Eastman archtop or a 1957 Stratocaster. Secondly, he's created a small band, performing several pieces with Lee Sklar on bass, Russ Kunkel on drums and Jim Cox on keyboards. 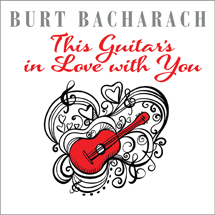 Juber leads this combo with both his acoustic guitar, as on the title track, "Gardenia," and "Let's Stay Together," or with electric, on the traditional "Wayfaring Stranger" and the improvised "Blue Guitar Blues." On the minor-keyed "Castle Walls," he plays both acoustic and electric throughout for a great performance. Juber pulls out all the stops on several acoustic solos, including "Bullet Train Boogie" and "All of Me." His solo version of "Layla" recalls Derek & the Dominos' original arrangement and is sure to please casual listeners and challenge guitarists. 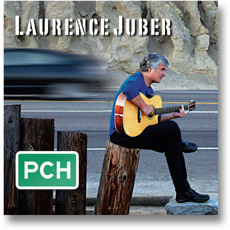 The feel throughout PCH is more relaxed than much of Juber's catalog. 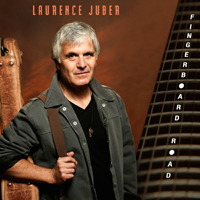 While it's not thematically cohesive in the manner of "LJ Meets the Beatles," "One Wing," or "I've Got the World on Six Strings," here we get a better look at Juber the guitarist by hearing him perform in different contexts and on a number of guitars. As an extra offering, three of Juber's compositions appear twice on the disc, first in the group recordings, then again as solo tracks at the end of the CD. These bonus solos are fully realized performances, and although they don't necessarily include anything new for listeners, guitarists will appreciate them. Overall, LJ can expect to please his fans and attract new listeners with this fine offering. 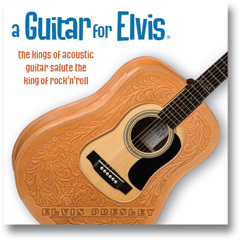 "PCH" features a cheerful collection of original and reworked selections showcasing his skills as an authentic guitar virtuoso. Juber is able to interpret material from across the spectrum, bringing jazzy fireworks to Al Green's "Lets Stay Together" and emotional weight to the Eric Clapton classic "Layla". His own compositions are equally strong, notably the Celtic-tinged "Temple Bar" and the aptly-titled "Blue Guitar Blues".